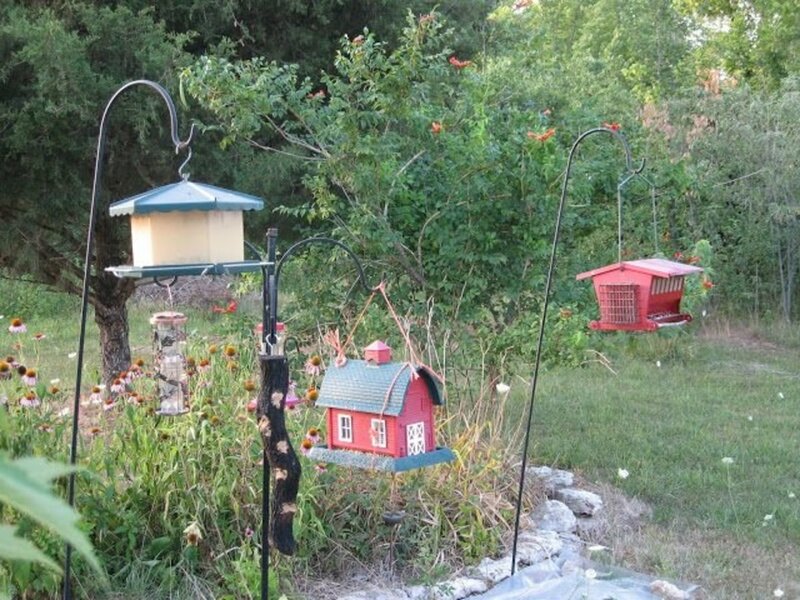 Jayme is a writer and artist from Oklahoma who has survived 9 consecutive years of gardening wins and fails. Almost everyone loves a beautiful tree. They offer us shade and sometimes fruit in the summer and windbreaks in the winter. In the spring, they might produce lovely flowers, and in the autumn, some brilliantly colored leaves. Like every pretty thing though, trees require maintenance. They need to be trimmed and pruned when their branches hang low, and someone has to clean up after they have shed their flowers, leaves, and other baubles. There are two main kinds of tree: deciduous and evergreen. The former lose all their leaves in fall and winter, while the latter keep them pretty much year round, losing them very gradually. As you can imagine, evergreen trees are far less messy! Keep in mind, however, that while evergreen trees may not shed their leaves the same way, they can drop petals, needles, and fruit, so there is still a bit of maintenance and cleanup required. If you want a truly no-maintenance tree, you'll have to go artificial! When you buy that new home in April, you might not realize that those majestic trees that won your heart at the showing may eventually make you despise your yard. If you hate extra lawn care as much as I do, then here are five specimens you may want to avoid. Keep scrolling to learn why these trees are such a pain. 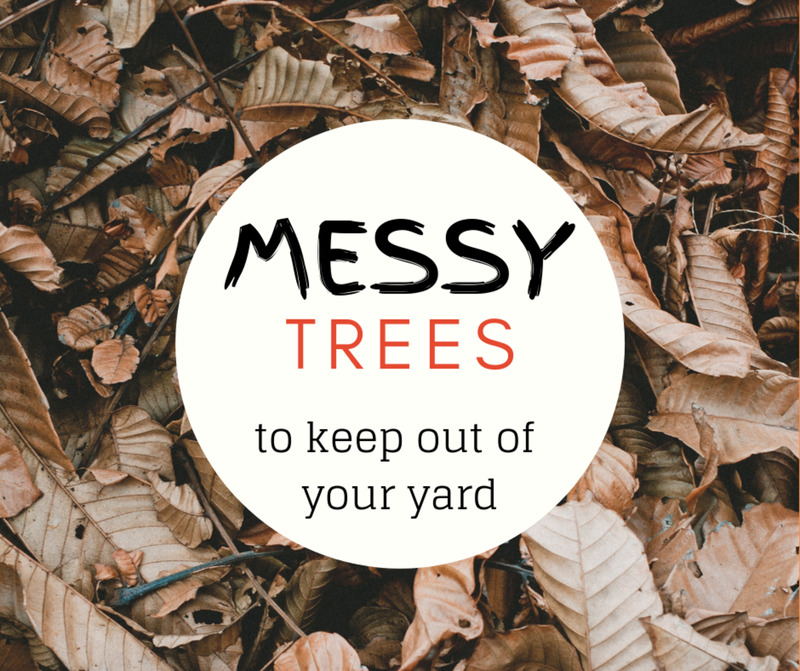 At the bottom of the page, you will find a list of more messy trees to avoid, as well as a list of comparatively low-maintenance trees. As a proud Southerner, it is very difficult to insult this beautiful and traditional tree. 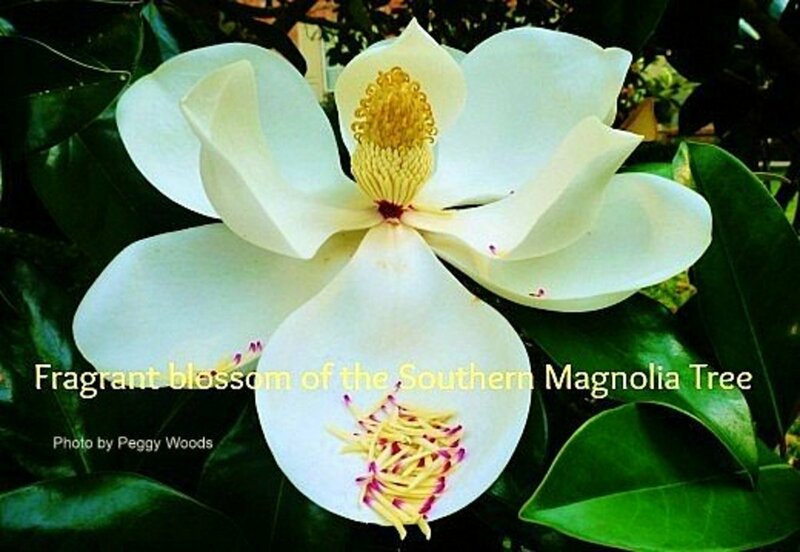 Magnolias are a fragrant element of Southern culture. At one time, belles wanted to keep their skin as creamy and white as the flowers of this tree. It is one of the prettiest trees in the world. It makes a distinct sound when the wind blows through the leaves and produces large, delicate white flowers that fill the air with sweet perfume. The seeds are a striking cherry-red color, and the bark pattern is uniquely textured. When I was younger, we moved to a farm with five of these elegant belles. They were old and dignified . . . and planted right against the house. Every morning, (and I do mean EVERY morning) of the year, they had shed enough small branches to create small brush piles. I don't know how they managed to never look bare. I do know we never had to gather kindling wood for the winter because it was always available just outside the door. In addition to the twigs and branches, they shed their leaves. Magnolia leaves are crisp and waxy even when green, which made raking them very difficult. It was easier to poke them with a sharp stick. And those sweet, white flowers? The petals were leathery and tough. You didn't want to mow over too many of them, because they would congeal under the mower and create a mess. Plus, the pollen in the center of the flower left the whole yard covered in what looked to be little matchsticks. So why did we bother to rake up all the leaves and petals when we lived "way out in the boonies"? Because lurking under that innocent carpet lay the dreaded magnolia cones. I suppose in some places the cones are seasonal, but in southeast Oklahoma, they fell all year. Step on an unseen cone and you were asking for a broken ankle. Hit one with the mower? If it didn't ruin the blades, then it was slung out and into something else. LIke a window, perhaps. Unlike pine cones, magnolia cones are not brittle. They are like baseballs, easily capable of taking out a window or knocking a person unconscious. Cleaning up the magnolia litter was a dreaded chore. All of the cones had to be gathered daily by hand, and disposal was a challenge. Whereas the wood, flowers, and leaves would all burn easily (the leaves sound like fire-crackers, by the way, if anyone would like to try) the cones would not burn. Hundreds of cones a week were collected and eventually piled on a back acre. They were still there after a decade, and I suppose they are still there now. This doesn't mean magnolias should be discounted. 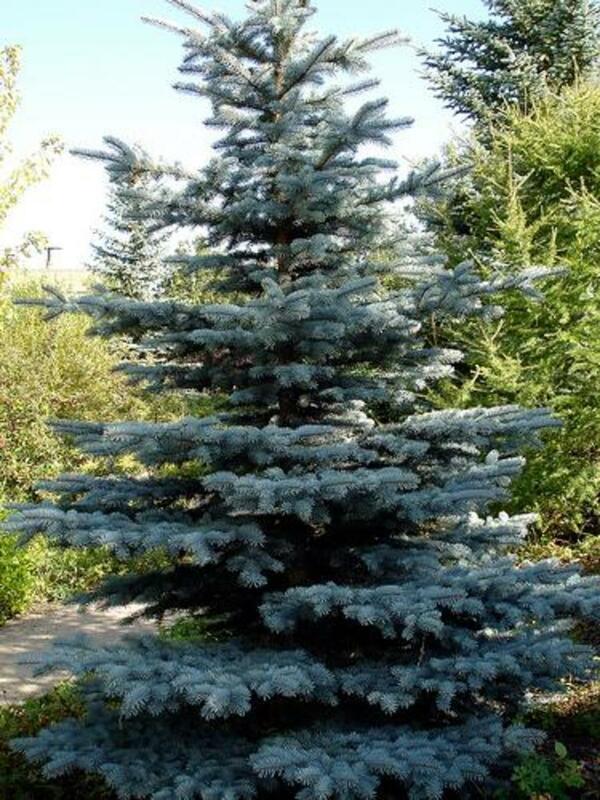 They are enjoyable, ornamental trees. My recommendation, however, would be to plant them a safe distance from your yard. 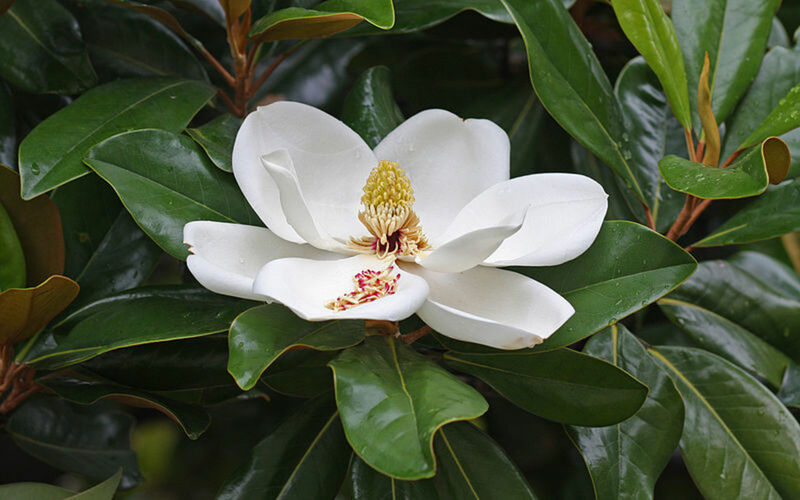 You could also try planting a Little Gem Magnolia, also known as the dwarf Southern magnolia. It will still create the same mess as its larger relative, but on a much smaller scale. 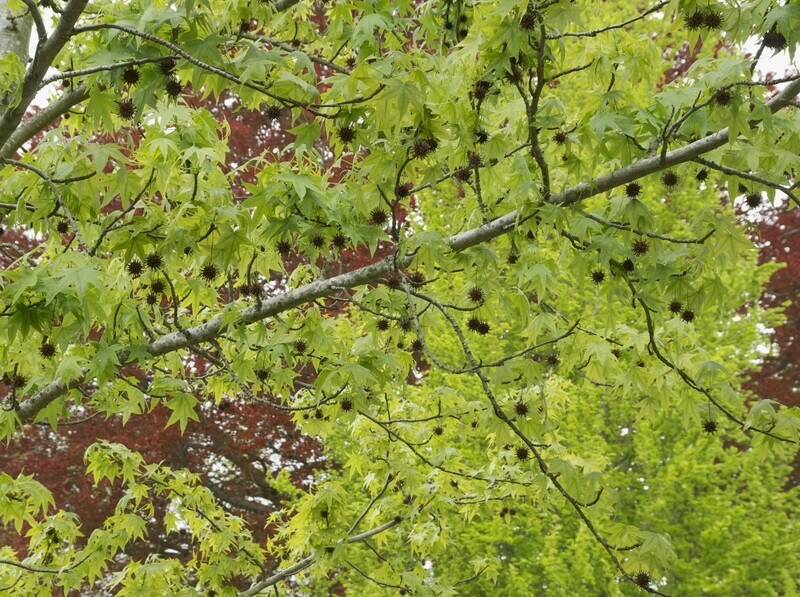 Sweet gum balls can be a major yard hazard, and they're not easy to clean up. 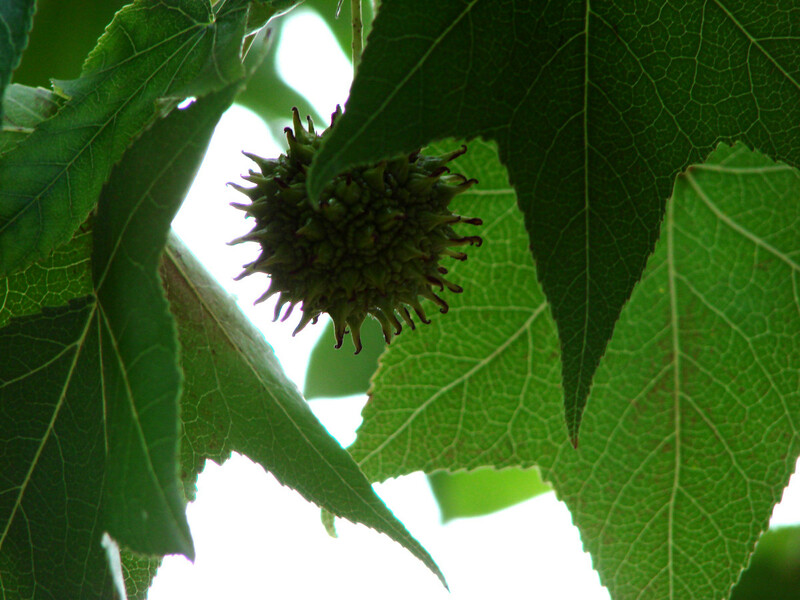 The sweet gum tree is often planted as an ornamental tree. It has brilliantly colored autumn foliage, much like the maple tree, which makes it stand out when trees start putting on their fall fashion show. The seeds and fruit from this tree are one and the same, commonly known as gum balls (and not the nice kind). These spiky balls are one reason you might not want to plant sweet gums too close to the house. If you have one of the non-sterile varieties, it will shed not only its leaves, but also thousands of "gum balls". Gum balls may sound appetizing, but in reality, they are neither sweet nor edible. They are hard, brown, spiky balls that can create some serious hazards. Not only can they wound you if you slip and fall onto them, but they can also roll unexpectedly, causing sprained ankles . . . and the above-mentioned slips and falls. What's worse, these sweet gum balls (again, not to be confused with sweet gumballs!) are nearly impossible to rake, meaning they almost always have to be picked up by hand. I saw a yard once that was bordered by 12 sweet gum trees. The owner declared that it took the entire family two weeks every year to pick up only the majority of balls. Not a good idea to hit them with the riding mower either. When airborne, they are as dangerous as grenades. I don't know about cooler climates, but in the Oklahoman heat, sweet gum trees ooze amber sap that sticks to your shoes when you walk across the yard. Then all the leaves, dirt, and other outside debris sticks to the resin and tracks into your house. If you think you worked hard getting the yard cleaned up, wait until you try removing sweet gum sap from a carpet. However, the tree has some beneficial properties. Its infertile seed pods contain shikimic acid, used to synthesize Tamiflu, a drug used to prevent or alleviate influenza infections. The sweet gum balls can also be turned into interesting craft projects—a far more common use for the tree's dried seed pods. 50 or so of these seed pods can be glued together to form a topiary, basket, or wreath for a Thanksgiving decoration. That only leaves you approximately 98,456 gum balls left for disposal. Tree sap can do extensive damage to the paint on your house and car. It can also stain driveways, patios, landscaping, and outdoor furniture. Who doesn't like pecans? They are a delicious nut! This is no doubt why people thought it was handy to plant pecan trees close to their houses. Just step outside and there will be all the pecans you can eat right for the taking! Don't forget that pecan wood smells heavenly in a fireplace, and when used in a smoker gives meat a savory flavor. So how could a pecan tree be bad? Like the catalpa tree, the pecan tree sheds just about everything. Older trees, which produce more bountiful crops, are very brittle, especially in a dry season. They don't just shed twigs, either. A heavy wind or ice storm will take out whole branches, some of which are the size of small trees themselves. Not that really bad weather is needed . . . I have seen some reasonably young, supposedly supple pecans drop branches in just a light thunderstorm. They also deposit an absolutely incredible tonnage of leaves, and not just a few at a time. It will seem as though every leaf on the tree counted to three and then let go, all at once. 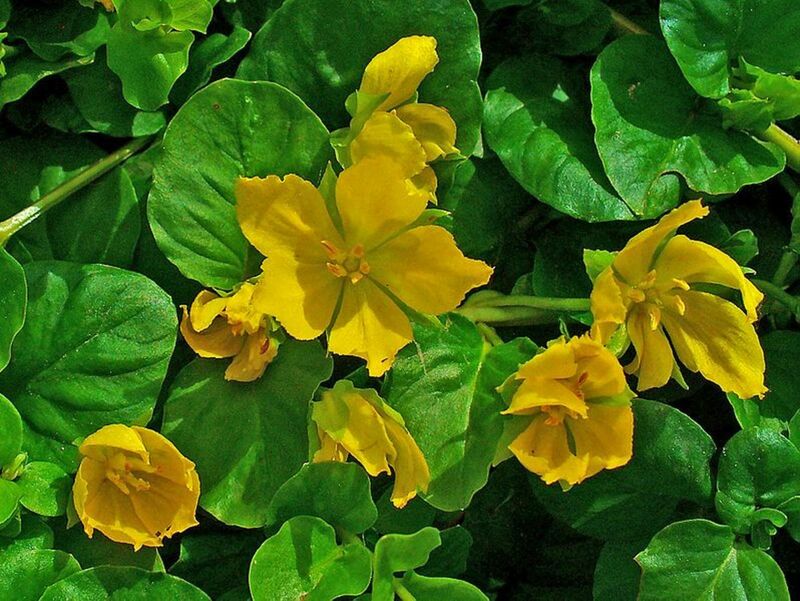 These leaves are small, and will easily clog gutters. They can also work their way into crevices on your automobile where they cause some problems. Somewhere under that knee-deep crunchy carpet though, lie your prized delicacies . . . the pecans. But pecans don't fall off the tree looking like the un-shelled versions you buy at the store for the holidays. They are encased in a dark, armor-plated outer shell. If you find the pecans still imprisoned thusly, you have to either wait for this husk to fall off, or you have to work a little harder for your snack. If the outer shells have already fallen off, then you will have a million of these too. Watch out for them when you are digging for pecans; these shells can have sharp points that will puncture a tennis shoe sole. Ouch! 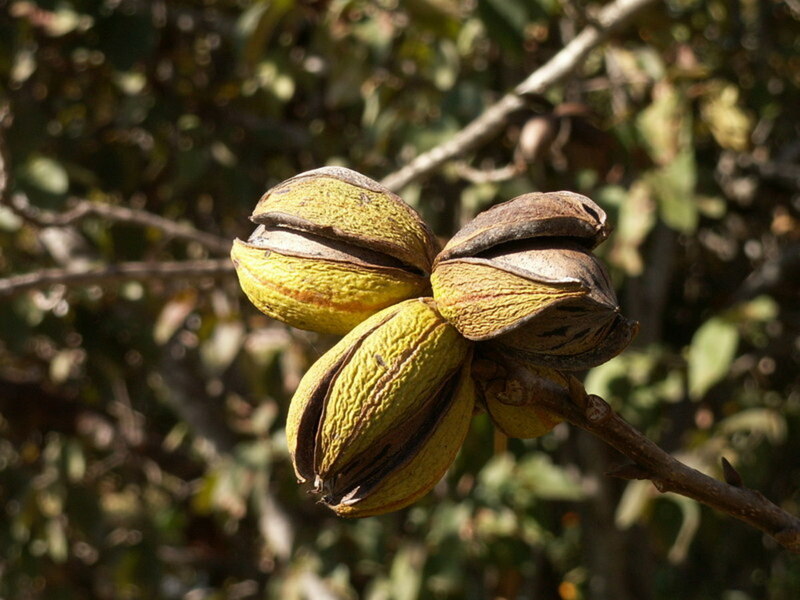 If you love pecans, then having your own tree is probably worth the work for you. 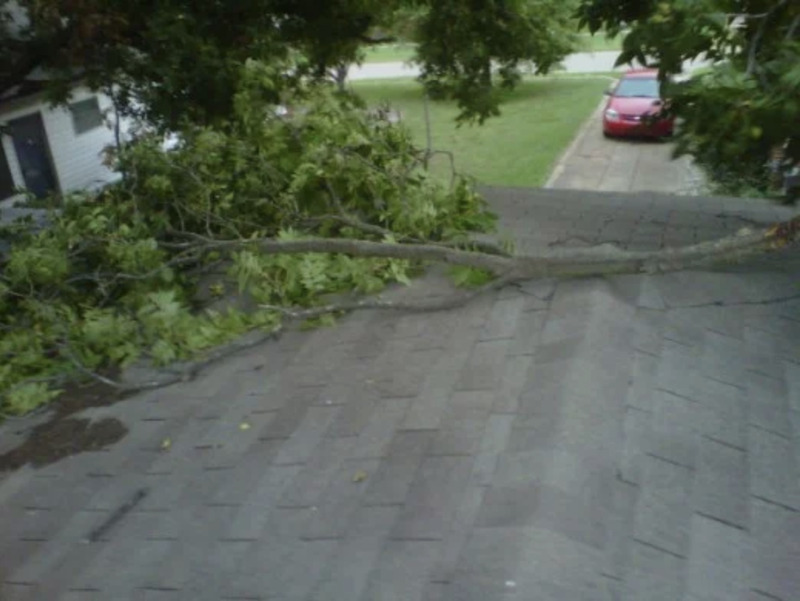 You won't mind the damage to your roof from a fallen branch, or the garage full of leaves. You might, however, mind the yellow coating of adhesive sap that just coated your car. Not to mention the sticky pollen that coated the sap and created a pasty substance that will eventually eat the paint. This pollen/sap mixture can actually be sticky enough to rip apart a windshield wiper blade if you accidentally turn on the wipers before scraping the glass! If none of this bothers you, then you will gather your nuts with joy and think of pecan pies . . . and I hope you really like pecan pies. One lovely old pecan tree that I know all too well once produced over 100 pounds of shelled pecans one season. That, my friends, is a lot of pecan pies. 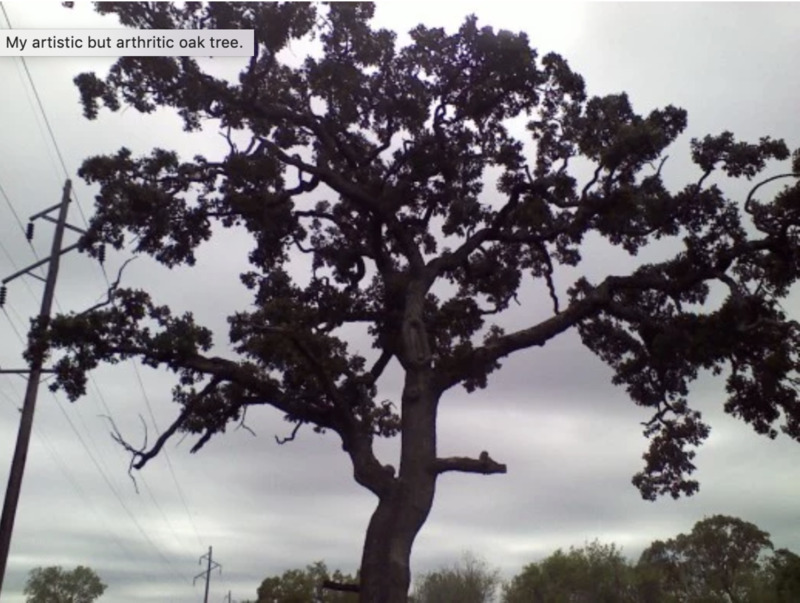 It was hard to include the great oak tree in this list because it is such a wonderful tree. I love oak trees for their shade, their amazing size, and of course all the folklore and legends that surround them. Some oak trees can dwell unobtrusively in your yard, dropping only their leaves and a few twigs now and then. Others, however, produce acorns, which are very fascinating, but difficult to rake up. Some oak trees are sturdier than others. 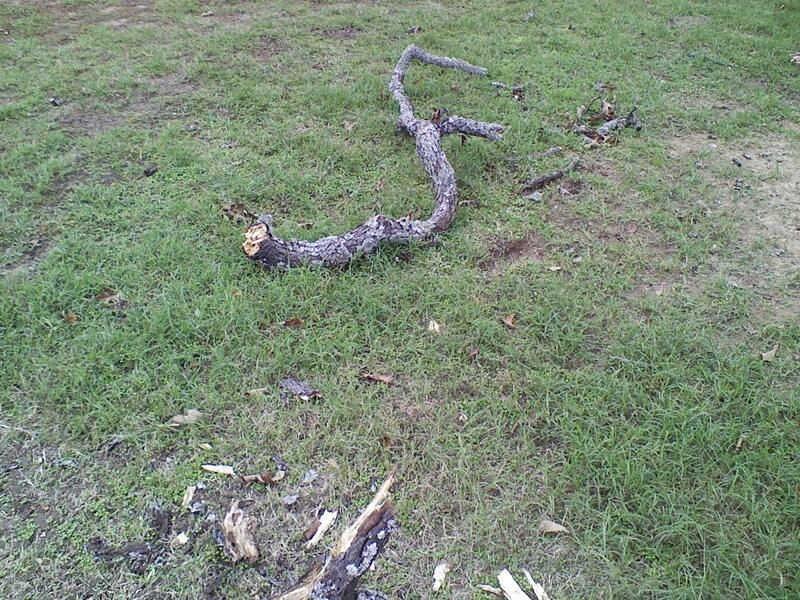 For years we had very large, old oaks that rarely lost a twig during high winds. Now I have an oak tree that can drop a tree-sized limb if someone sneezes inside the house. According to the forestry service, oaks are more likely than other trees to be struck by lightning, (with beeches being the least likely.) Whether this is due to their height, or the fact that there are more species of oaks in some places than other trees, it is still something to take into consideration if you have an oak planted too close to your house. Note: Like sweet gum balls, acorns (and pecans too) can be used in a variety of craft projects. Be sure to toast nuts and seed pods in the oven before you decide to paint them or glue them to a wreath. If you don't, you might walk in one day to find the nuts are speckled with holes, and your centerpiece crawling with little worms. If you'd rather cook than craft, you can also make your own acorn flour. 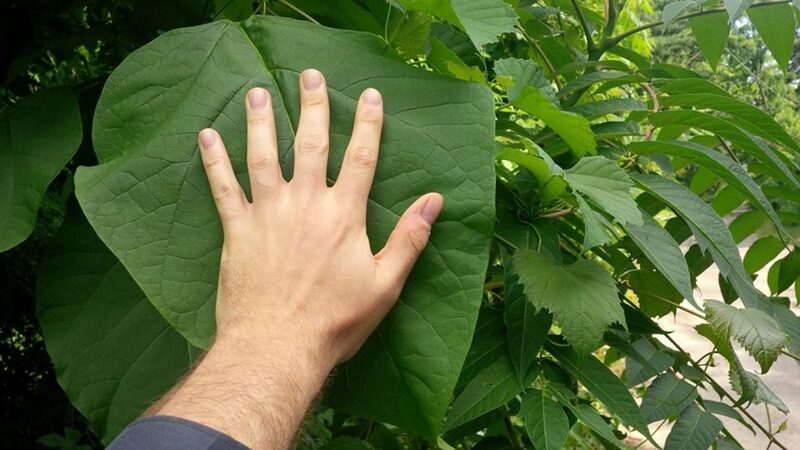 The catalpa tree, (also known as a catawba tree) is a fairly common tree, so much so, in fact, that it is often considered a "weed" in certain areas. I don't personally know of anyone who plants them intentionally, especially near houses, but that doesn't mean you are safe from their presence. 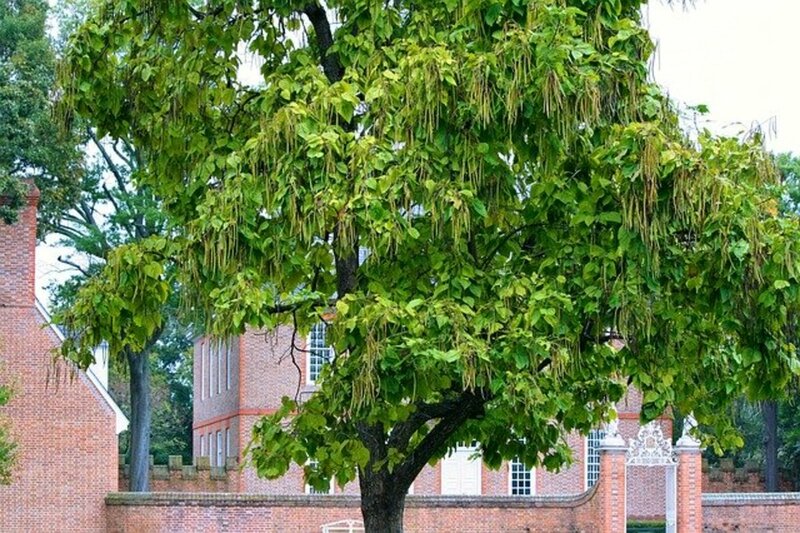 This tree has very large, heart-shaped leaves, which look incredibly lush and well-groomed during the spring and summer. They almost look too perfect, like drawings where each leaf is painstakingly reproduced. They also produce fluffy white flowers and long, skinny seed pods. And they are home to the catalpa worm. Make that worms. 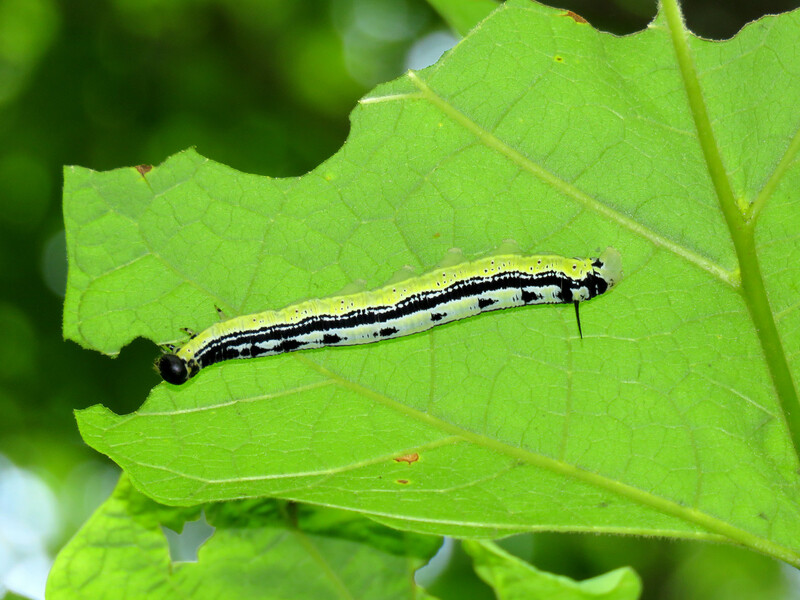 A single tree can be covered in thousands of these grotesque little creatures (which are actually caterpillars), earning the catalpa the nickname of "fish bait" tree. The worms make excellent bait . . . but you won't have much time to go fishing if you have one or two of these trees. 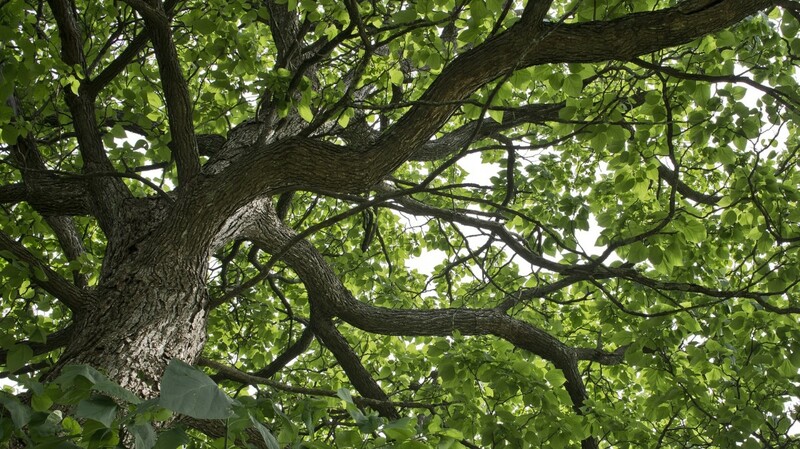 The catalpa tree sheds the large green leaves all year in heavy breezes. 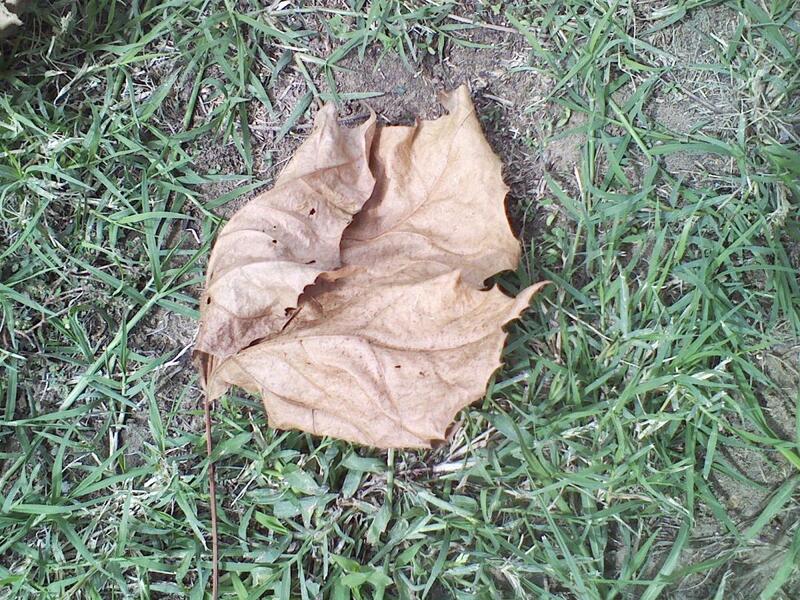 In fall or after a drought, one or two trees can completely bury a yard in gigantic brown leaves. They also shed twigs and bark, and in the spring, those pretty white flowers explode across the lawn, making it look as though a Styrofoam bead factory exploded on your grass. 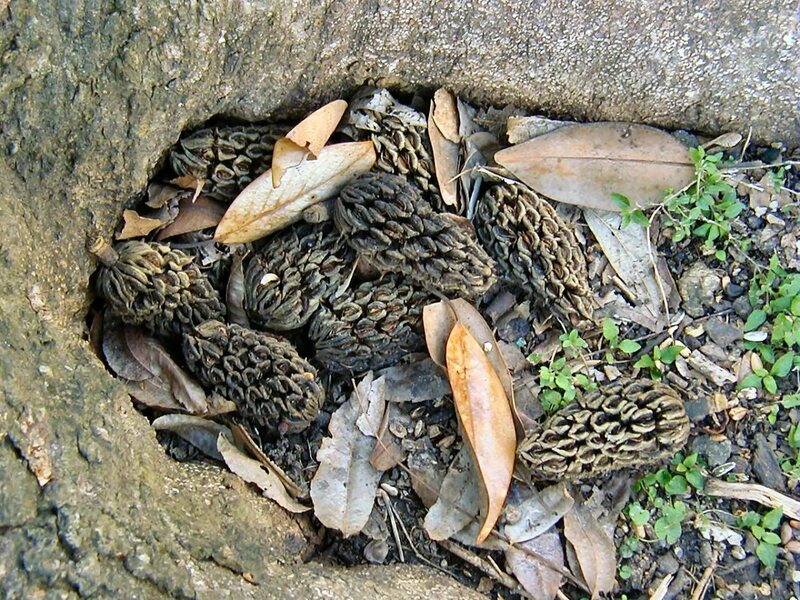 While you are busy raking leaves and twigs and large chunks of bark, you will also find the seed pods. Don't forget to watch for the worms. If you brush up against the leaves, you might find yourself covered in little friends. Sheds Flowers, Fruit, Other Debris? Draws Lightning or Is Weak? What are the common problems of each of these trees? Which of these is your least favorite messy tree? Eucalyptus Trees: In addition to having shallow root systems and brittle branches, these trees are extremely messy. The bark is constantly peeling off, leaving a mess of dried bark below. Redwood Trees: In addition to ruining sidewalks and foundations and choking out any other plant life by blocking the sun, redwood trees are incredibly messy. They never stop dropping needle-like leaves, and they are prone to dropping branches during storms. Bottlebrush Trees: The bottlebrush-like flowers of this tree shed like no other, and due to their soft nature, they're extremely difficult to clean up. You'll end up with thousands of red, needle-like bits stuck here, there, and everywhere. 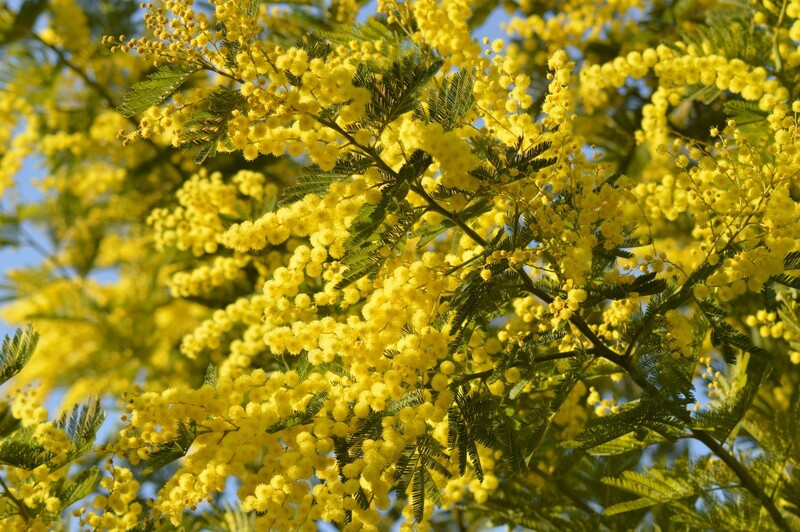 Mimosa Trees: This tree is brittle, yielding branches that frequently break off even in slight storms. In addition to dropping branches, leaves, and flowers, it also drops lots of seeds, so you may quickly end up with more mimosas than you bargained for. Mulberry Tree: These trees produce an incredible amount of pollen, which will coat not only your car and lawn, but is likely to infiltrate your home as well, making "dusting" an even more frequent chore. The pollen from this tree also attracts an army of different insects who are also likely to make their way inside. Yuck. Linden Trees: These trees secrete sap like no other. Just one of these trees can coat your car, your lawn, your walkway—everything—in a sticky film of sap. Tulip Trees: Also known as tulip poplars, these trees drop something in every season—flowers in spring, sap in summer, leaves and seedpods in fall, and sticks in winter. In short, these trees are a mess year round. Plum Trees: Unless you can somehow pick and eat them fast enough, a plum tree is going to litter the ground around it with innumerable sticky, squishy plum lumps. They're about as fun to clean up as they are to step in. Unfortunately, this isn't only the case with plum trees, so unless you plan on starting your own jam company, it's probably best to avoid planting a fruit tree of any kind. Before I Make Like a Tree and Leave . . .
All trees have their pros and cons. If you have large, well-established trees, you may tolerate the cons because you are reticent to sacrifice the tree's shade for the time it takes a newer model to grow to adulthood. 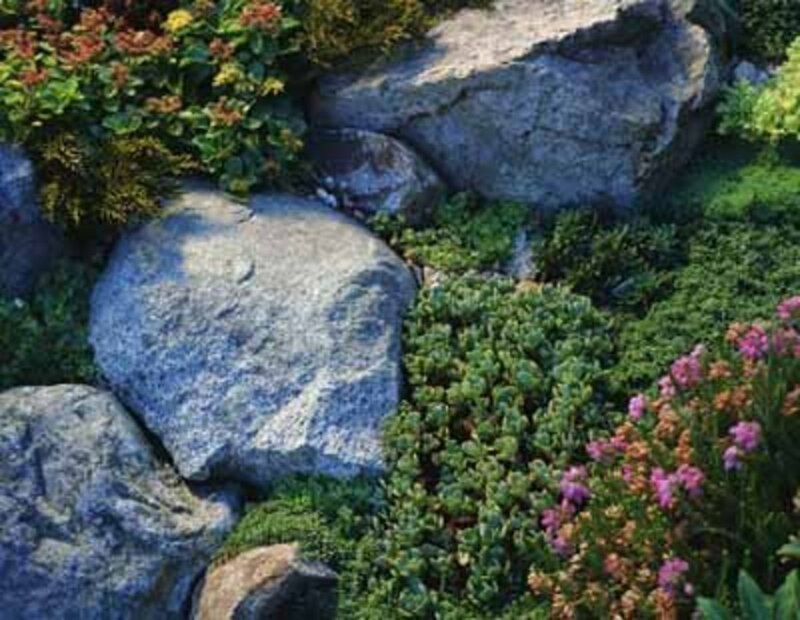 If you do decide to take the plunge and replace those messy trees with lower-maintenance trees, you may have to wait a while before your landscape looks complete. Here are some recommended trees for us lazy landscapers, but keep in mind that while these trees don't shed as drastically as the five listed above, they do still drop leaves, fruit, flowers, etc. The only truly no-maintenance trees are the ones made of plastic (and even those require a little dusting from time to time!). And of course, don't forget those lightning-safe beeches (genus Fagus)! I see some comments about trees that I would say are normal for trees that lose their leaves in the fall. If you can't handle that then get an apartment. I've got 3 crape myrtles and they don't drop much and are gorgeous. I grew up with large silver maples and while in spring they do have their 'wing' drop it's not much and the next lawn mowing gets rid of them. Here is the absolute worst tree I have had to put up with: Goldenball Lead tree. They are a weed tree, grow faster than fast, almost impossible to get rid of, and when it is done dropping its golden balls in the spring it starts dropping large seed pods (12"+ x 3/4") and then the seeds just pour out of those and they seem to be the most fertile seed ever. I think they'd start growing in humid air. I have pulled three of them out of my property because they were so bad and my neighbor has a couple that constantly rain on my land... I am killing off about 1000 of those seedlings every year. THIS tree should top your and every chart for dirtiest tree! Crape myrtles drop flowers in the summer, leaves and seed pods in the fall, and the bark peels in the winter and spring. Beautiful tree (my shrubs are 20 feet tall or more) but they drop SOMETHING year round. We are new to Idaho and love it, but we have a tree that is creating mess in front yard. Drops leaves (neighbor says it is the last to lose its leaves) and has these hard "seeds/berries" that stain our driveway. A nightmare tree not mentioned was cork screw willow. I received two slips from friend. Planted them for shade over my patio behind my garage. Four years later I have these huge trees that drop branches all the time-but when it storms the large branches drop. My gutters were constantly full . Had a wooden privacy screen put in at edge of patio. Tree roots pushed it out of ground. Paid $350 but now there gone! Let me add the Flowering Crabapple Tree. Yes it has beautiful pink flowers in spring and red berries for winter interest but what a mess and a lot of work to remove seedlings and saplings that sprout up through out the spring and summer. Constant battle. I have millions of little brown flakes that fall from my beech trees, they get everywhere, I spend lots of hours trying to sweep them up, once I've done it I turn around and they are back, they drive me mad. What are these little flakes and what are their purpose? 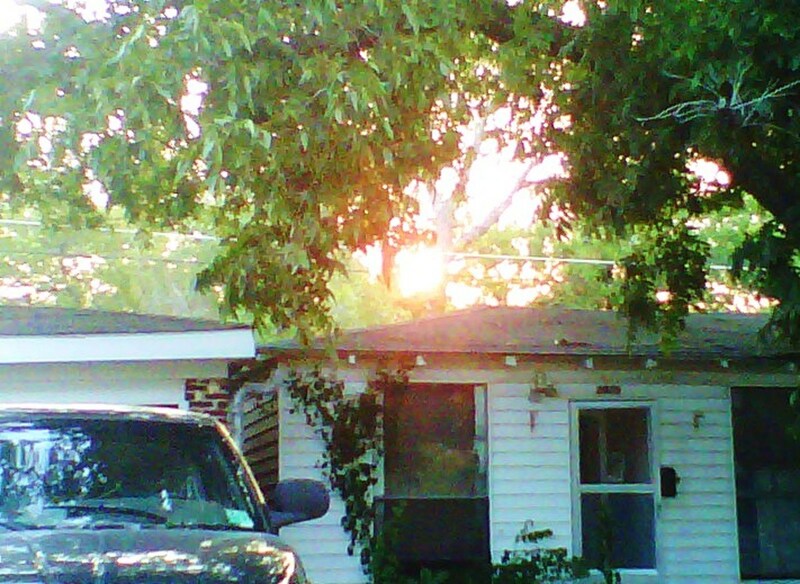 We have a Silver Maple and a Catalpa in our yard, I would rather have the Catalpa any day. Jacaranda, the perfect beautiful tree for someone else's yard! BRADFORD PEARS - top of the list! not add to the list, very messy!!!!! I have lived in my present home for a little over a year and finally had the old Magnolia in my yard cut down. I could not stand the thing. I swear it dropped leaves 365 days a year and the leaves were a great pain to rake up. I am not sorry for having it chopped down - I am sure I am one of the few that don't like this classic Southern tree. This was another great hub from you, Jaymie. No wonder they're the worst in the messy tree department. So very insightful and informative. Voted up for interesting! @moofish. I've never had the pleasure of being around walnuts, but I can definitely agree about the mulberries! @Lipnancy--Thanks for stopping by.. These trees are beautiful to own, but they do require a lot of love and care. @Denise-I didn't know there were more Magnolias either until I started looking for a picture of one for this hub. I had never seen the little ones before with the petite blossoms. I imagine they would be a lot cleaner. The ones in NC are probably the same as the ones here in OK. The large trees with the enormous blossoms and leaves. I guess they like the warmer climates. Great pictures you used as examples of these trees. Unfortunately, I do not own any of these. Great hub. Very informative. Thank you, Les Trois Chenes for the great comment. Sadly, I don't think many towns approve of keeping pigs in your yard. If they did then it would certainly take care of a lot of acorn and pecan problems. I can say from experience though, that they will not eat anything from a Magnolia tree! Wow! I never suspected. Our local park and city landscaping along some of our streets are full of sweet gum trees, and I was contemplating getting one because of their beautiful fall colors. We do have an oak tree on the property, but it's very far from the house and garden areas, all by itself. However the large oak across the street from our Paso Robles house is dropping acorns on the sidewalk like crazy. Its a lovely oak, and a bee tree, but I'm glad it's not my job to clean off the sidewalk. Thanks for sharing this information. Thank you Denise! For the comment and the link! I agree, I would never have the heart to cut down a Magnolia, but I wouldn't plant one close to the house either. Not just because of the litter, but because with our tornadoes and bad storms, we need trees that are much stronger. And that do not draw lightning! What a well-written, informed and useful hub! I'm a landscape architect and these are the sorts of things that everyone should know before planting trees. Particularly when planting near roads, buildings or parked cars. I live in Limousin, S W France now, and the whole area is covered in oak and sweet chestnut woodlands. I can testify to the oak shedding twigs and small branches. The acorns are not such a problem for us - I think they are mostly eaten by mice. Of course the answer to the first problem is to get a woodburning stove, and to the second - a pig! I had no idea that the oak was so frequently struck by lightening. I love this hub. I love trees anyhow, and the video, the music, the humor and the info here is outstanding. I rated it up and am sharing. I have also written a tree hub so I will link yours to that one. Thanks for sharing! My mother loved magnolia trees and we had one in our front yard in Michigan, along with maples and fruit trees in the back yard. It was a mess to clean up but the beauty outshone it all. 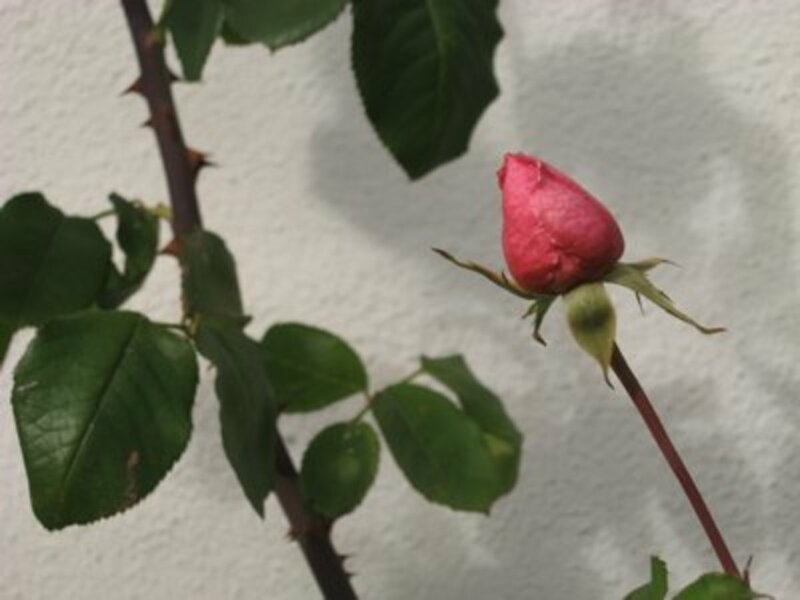 When my husband and I lived in that home he did nothing but complain of the petals and leaves. I just tolerated his comments because I wasn't going to de-plant them, haha. @Billy--Thank you very much! I was glad to leave the magnolias behind, for sure. I love seeing them far away, in other people's yards! The oaks are a little un-nerving when you think how many are planted close to homes and businesses. Even if they aren't close, they are tall enough to reach quite a distance if the split, shatter, or fall. @Peggy--Thanks for the comment and votes. I forgot to mention in the hub about all the sprouts that would have to be pulled if you don't collect all the seeds and nuts from these trees! I fell for the gumball trick once. I asked someone for enough to make a tree. They said " only if you take them all." Haha. Two huge garbage bags full! I actually read an article defending those trees, saying that sweet gum balls were soft and pretty. Obviously they have never fallen on a pile of them! Love this and your sense of humor! Magnolias are my personal least favorite. I was amazed to hear that oaks are the most likely to be struck by lightning. Interesting information here! Our home is surrounded by large oak trees and whether it is due to last years severe drought in Houston or not...they are dropping acorns this year like never before. Am sure that I will be pulling up ones from garden beds or ones that squirrels have dug into the ground for some time to come. Oh...and the raking job that lies ahead. Ugh! I have used the sweet gum balls in craft projects and the people were HAPPY to have me collect them from their yard. I can see why! As to the magnolia trees...I like looking at them but would not want the mess in my yard. Like you indicated, it is just about a daily job to keep the ground cleared out from underneath that type of tree. You have given the lazy and not so lazy gardeners something to consider when planting trees. Up, useful and interesting votes.